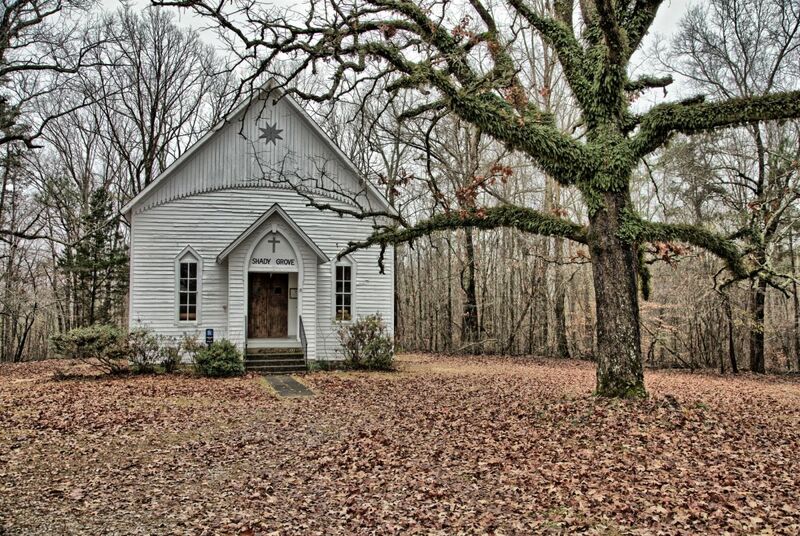 The church began as a brush arbor and featured log benches underneath for seating. The second church was made of hand-sawed logs, dirt floor and doubled as a school house for the area. In the late 1800s, Reverend D.C. Beltz, Architect, designed and built this beautiful gothic-style church with the help of volunteers in the community. Located behind the pulpit, visitors can enjoy the workmanship of a hand-carved design of a church. Today it stands tall atop a hill overlooking farm country and graves of Union and Confederate Soldiers.